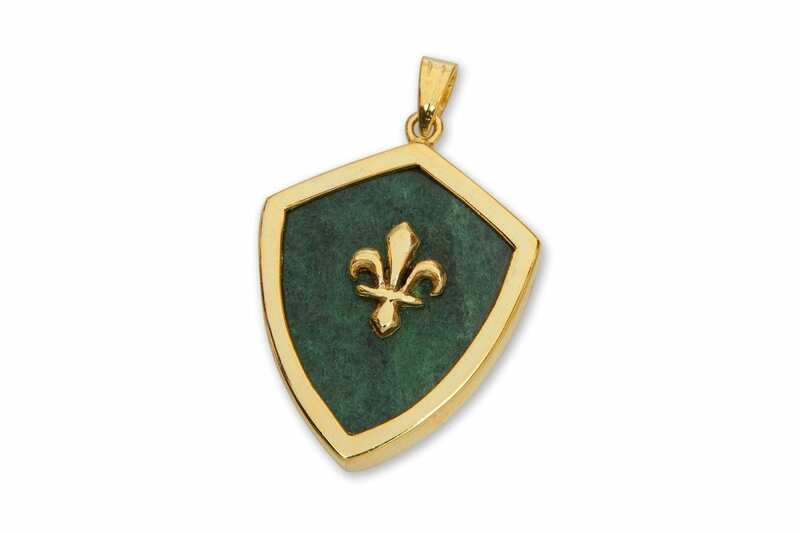 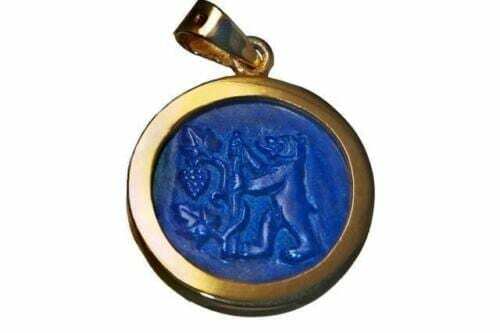 A Fleur De Lys pendant with a gold plated (5 microns 18k gold) sterling silver fleur de lys laid over a shield shape of high quality jade albite held in a gold plated sterling silver encasement. 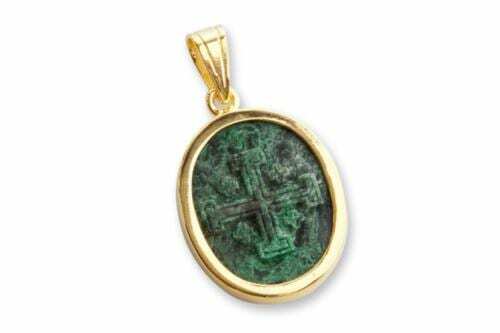 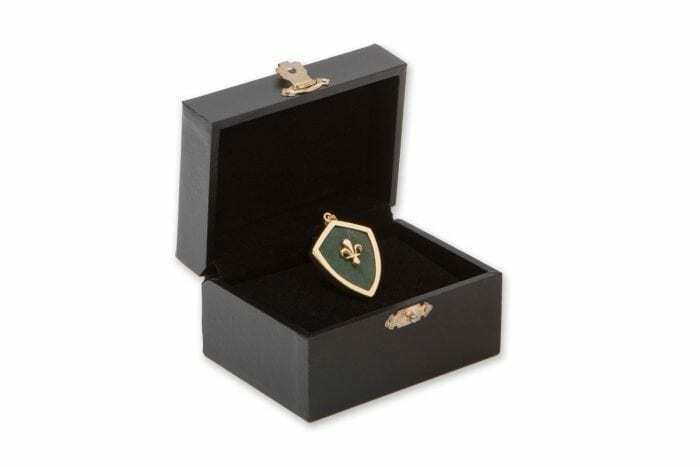 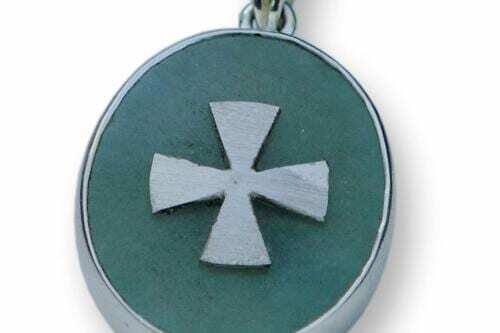 This lovely Fleur De Lys pendant consists of a well crafted shield shape with bezel of genuine high quality jade albite, a really beautiful color and heraldic design is suitable to be worn by ladies or men. 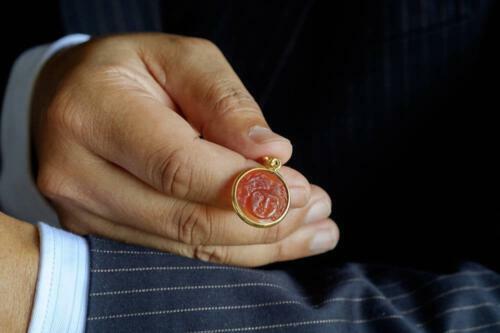 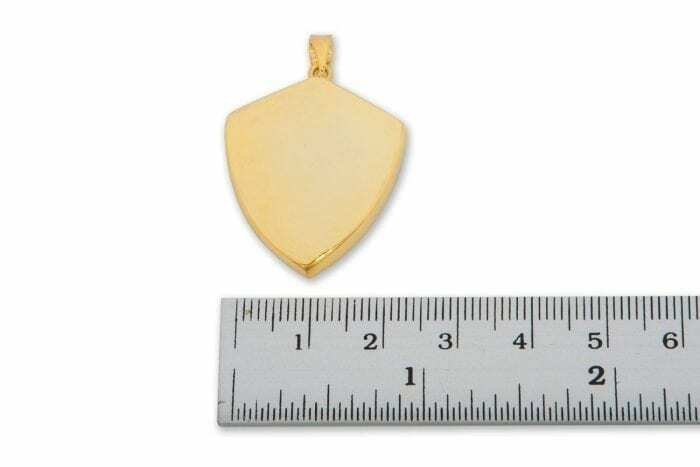 The oval measures 26 x 21 mm (1 x 13/16 inch).